The plaintiff, Nurul Abser was inducted into the possession of the suit property as a temporary tenant under late Alhaj Abul Khair, predecessor of defendant Nos. 1-7 and in that connection, a tenancy agreement was executed on April 14 1995. On March 15 2002, an arbitration agreement was entered into between the plaintiff and the defendant, and Alhaj Dostagit Chowdhury was appointed as the arbitrator to resolve the dispute between the parties regarding the suit property. Alhaj Dostagit Chowdhury settled the issue and gave an award on March 3 2002 and copy of the award was duly served to all concerned parties. Thereafter, no step was taken by the plaintiff within the time frame of 60 days as stated in section 42 of the Arbitration Act 2001(herein after mentioned as the Act). It was when the defendant moved to the court for execution of the award they contested the validity of the arbitral agreement and award. However, the learned assistant judge rejected the application. Again a Civil revision was initiated which was again rejected by the District Judge as any relief against arbitral award has to be initiated within the time under the provisions of the Act of 2001. Being aggrieved by the order of the District Judge, the plaintiff moved to the High Court Division and filed an appeal. The appeal was dismissed by the HCD, hence a petition for leave to appeal was filed in the Appellate Division of the Supreme Court. This petition was dismissed by the honourable Appellate Division as it found that the HCD did not commit any error of law in dismissing the first appeal. A domestic arbitral award can be challenged within 60 days from the receipt of the award within the meaning of section 42(1) of the Act. And the grounds for setting aside an award are mentioned in section 43 of the Act. In this context section 39 is also relevant which confirms that an award made by an arbitral tribunal pursuant to an arbitration agreement will be final and only be subject to challenge in accordance with the provisions of this Act. So a careful combination of sections 42, 43 and 39 of the Act shows that, an application to set aside an arbitral award has to be made within 60 days. After the expiry of 60 days the award becomes enforceable within the meaning of section 43. As in this case the petition side failed to challenge the award within stipulated time, the award has become final and enforceable. The claim of the petitioner side that he did not receive any arbitral award was also rejected as the prima facia evidence shows that a copy of the award was duly served upon both the plaintiff and the defendant. 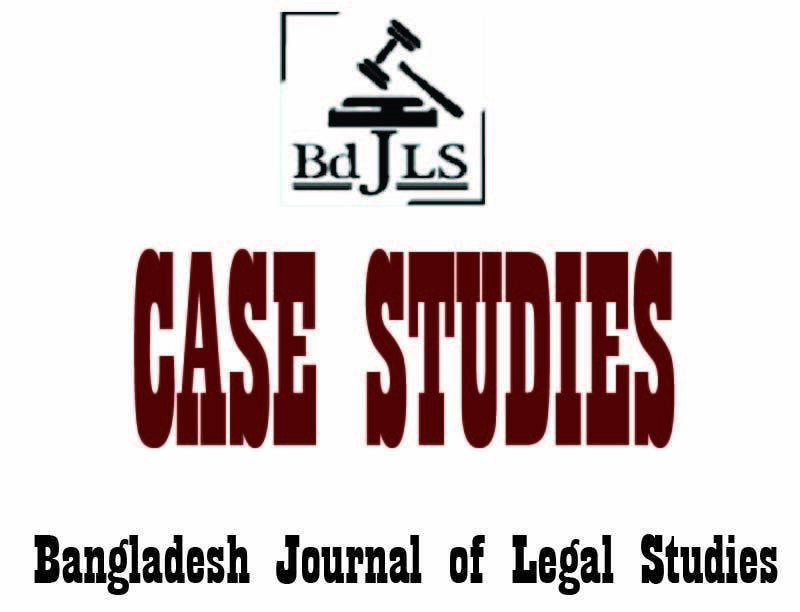 First published in 2015, Bangladesh Journal of Legal Studies (BDJLS) in an open-access online academic law journal. We are trying to create awareness regarding various legal issues of both national and international importance. BDJLS provides a wide range of audience for academic researchers and legal practitioners to communicate their ideas and opinions. BDJLS specially puts its endeavour in promoting awareness and proposing necessary legal reforms to uphold basic human rights and dignity of all human beings. Our main goal is to work as a polestar and a stepping stone for young researchers, who are searching for a platform to unveil their limitless potentialities.